← The truth about GMO mosquitoes. Would you consider adding insects to your diet? Why or why not? 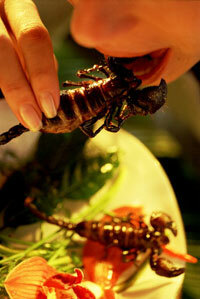 @Robot_Insect Why the western aversion to eating bugs when they are food in so many other parts of the world? Well, to answer this, I had to branch out of my area of expertise and ask a Biological Anthropologist, Dr. Julie Lesnik, as to why we, in Western culture, don’t think of bugs as a food option. And it has to do a lot with our evolutionary history! Below is a the full interview I had with Dr. Lesnik, in a podcast-interview mash-up. We talk about the past and human migration, using modern humans and apes as models for early hominids, the present and the status of insects as a food source, and some prospects for the future! 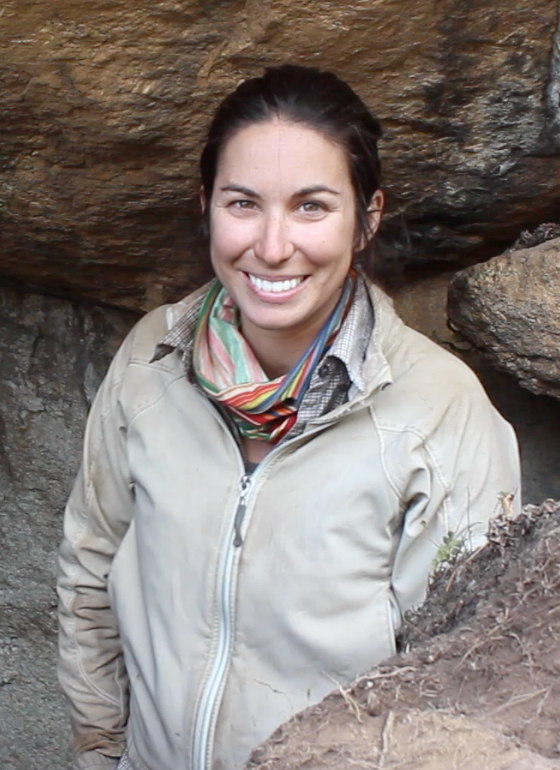 On Wednesday, I’ll be posting a summary of her talk about human evolution and insect consumption. If you just want to see the highlights of the podcast, you can read them below! First some introductions. Who are you and what did you get your Master’s and PhD in? My name is Julie Lesnik. I am an assistant professor in the department of anthropology at Wayne State University in Detroit Michigan. I have my PhD in Anthropology from the University of Michigan. I also have a Master’s of Science in Kinesiology. I studied exercise science and nutrition in addition to anthropology. What exactly is “Exercise Science”? That’s a good question. So exercise science is pretty broad. A lot of people do the biomechanic aspect of it; what your joints are doing. I really focused on the nutrition and metabolism side of it. 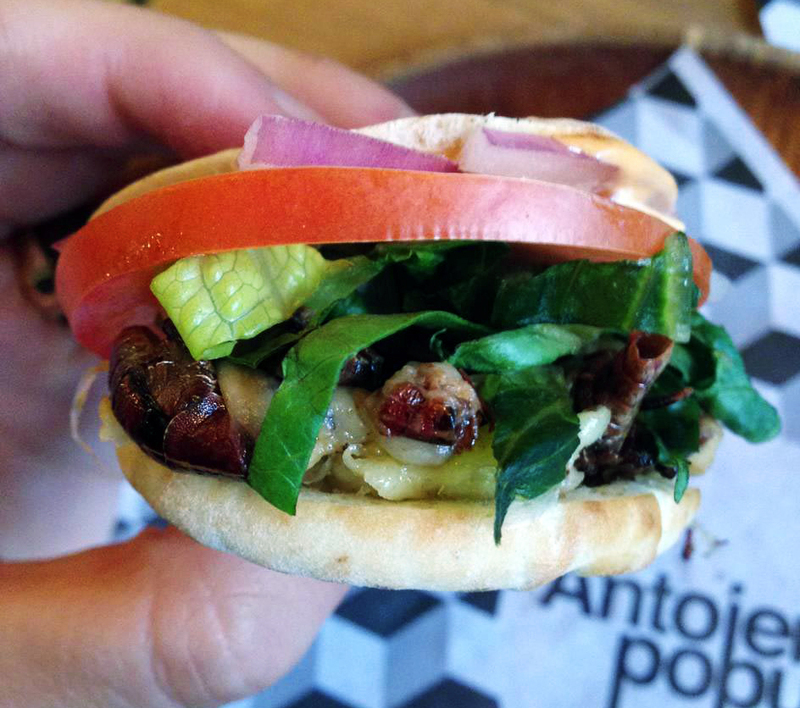 How did you get from anthropology and nutrition to entomophagy? In anthropology I study evolution of the human diet. I got into my PhD program really wanting to create life ways; like what early hominids were doing. A big part of being a large ape in a Savannah environment is, what do you eat? How do you find food? I decided that’s where my research interests lie, and then I got the Master’s in kinesiology to make me understand human nutrition better. So that’s where I came from. The best model for a large bodied ape living two million years ago is a large bodied ape today that lives in its natural environment and needs to get food from the forest. And so I started reconstructing the termite portion of the hominid diet. I got my PhD in 2011, and in 2013 the UN came out with their big statement on why we should be really looking at insects as a sustainable food source. And now all of the sudden I had all of this knowledge that was useful to kind of promoting this food source. So you say that chimps and early humans probably always ate insects, why do you think they were so important? One thing with insects as food as they are animal foods, just as meat is. One of the most important things of animal products is fat content. Like we have this “oh fat is bad”, but fat is *good*. If you’re trying to survive in the environment, that’s a pocket of calories that’s going to get you through the day. Two, the protein component of animals tend to be what we could consider to be a complete protein profile. It has all of the essential amino acids that are present in animal proteins. So fat and protein, but at the same time a lot easier to catch. Like that idea that the termite mound is always going to be there, it’s easy to spot, and you can always get termites out of it, is a lot easier than being so risky in trying to chase down an antelope that you might not catch. The main question we got for the blog is “Why does western culture have an aversion to eating insects?” So if you were to name three major contributing factors to that, what would they be? 1) There is a bit of a cultural taboo. Insects are pests. Insects are through to transmit diseases, I also think a lot of how we live is people try and remove themselves from their natural environment as much as possible. So an insect that comes into your house in an invader, and they’re breaking our boundaries between us and them. 2) In the tropics, windows are just like windows and they don’t have screens, and you learn to live *with* the insects not against them. That’s more possible though in the tropics than up here because, the buildings we build create microhabitats. And so where I’m from, Detroit right now is under a foot of snow, so you *need* the building to keep out the outside because we can’t live in -10 degree weather. We need to create a microhabitat temperature – we even have a word for it – “room temperature”. It’s completely socially constructed, this 70 degrees that we’re comfortable in. So insects become much more of a pest and invasive in our homes when we need to have a temperature inside that’s different than the outside in order to survive. When you have an open seal, not only are you letting the cold in, but then insects are coming in. They’re also a signal that you’re not sealed off from the cold or whatever it’s going to be. 3) This is kind of where my evolution and human diet comes in, is that the northern latitudes have always been cold and always been snowy and so there’s not been a prevalence of insect eating *ever* in Europe or North America because the first people to populate these areas, move there when they were glaciated. There was no way they were surviving off of eating insects. So eating insects is very much a tropical thing, it’s been a tropical thing over the course of human evolution, and it’s still a tropical thing today. 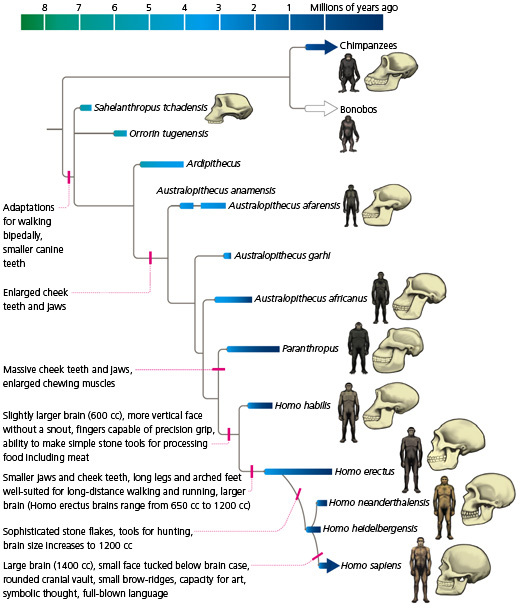 Homo erectus evolved in Africa and shortly started colonizing the temperate zones, like Indonesia. Neanderthals, and probably others, moved north, colonized Europe, crossed the ice bridge into North American, and colonized South America. Did those people in South America, just re-pick up insect eating? Yup, Yup, so [insect eating] would have had to been rediscovered [in Central/South America] because you show up in the tropics, you need food, Hey! There’s a termite mound! And it was picked up again, for all of the same reasons it was picked up originally in Africa. I want to shift gears to the future. In your seminar you talked about how climate change affected the diets, but also agriculture. What do you think about climate change now? Do you think it’s going to have an effect on how we perceive food and how we perceive insects as food? What do you think is going to happen? Agriculture is really risky because we are so dependent on corn, soybeans and wheat, and so if something happens where our strains of corn, or soybeans, or wheat don’t survive, through whatever climatic variability that’s coming up, that’s going to be a *huge* – it’s going to be catastrophic. One thing insects provide is variability – monocultures are traditionally bad. Insects can really provide a new source of variability that is easy to cultivate. So you have your corn, but then we have our cows that eat corn, so now if you don’t have corn, you don’t have cows … The whole thing will crumble if something happens to corn. But having insects that can eat a wide range of vegetables products, whatever, it is, that’s going to be easy to cultivate in place of corn. It just adds variability that adds more security to our food through global climate change. 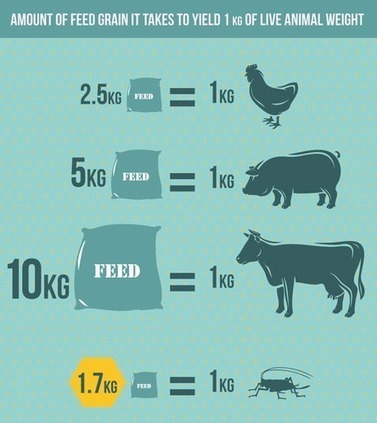 We usually compare eating crickets or mealworms as “mini livestock” and compare to beef and chicken in terms of resources, but we use them like wheat. So how do you bridge that discrepancy? That asks a really interesting question from an anthropology point of view, and it’s how we perceive food. 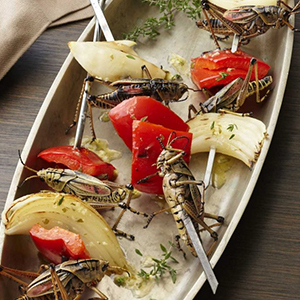 How we’re promoting insects is protein bars, and things like that that – that’s not a dinner. So it’s never going to replace our steak. So the challenge is, how can we do that? How can we incorporate insects into a food, that makes up the main portion of our diet? How can we make it not an appetizer? 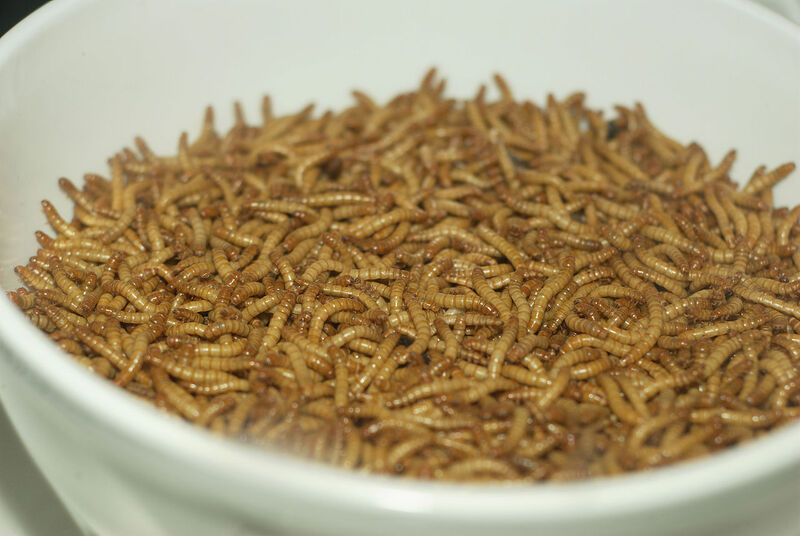 You can make a burger out of ground up mealworms, and I think it works the same way as any meat alternative. It just still happens to be animal based, so it has that same nutritional profile. Think of all the black bean burgers and soy bean burgers, so I think we need to think about how we can get soy beans to not be an appetizer and become the main dish. It’s going to be the same thing with crickets. The Though for Food Challenge, it’s a competition to give money to someone who is thinking about food sustainability. There’s a top ten, and the top ten give a pitch, and the winner gets how many thousands of dollars to start up their company. One of the top ten, their product is called “C-fu” and they’re playing off of “tofu”. It’s a cricket based protein, that’s more like meat. And it’s served as a replacement for meat instead of supplements. So they are in this kind of transition to how to make it not just this side dish, and make it the main portion. What do you think are three changes that have to happen for insects to be widely accepted in Western culture? Who do you think will eat bugs? 1) There was a study that came out, and it was this idea “who will eat insects. Who in the west will be the first ones to accept insects?” Somebody did a survey. They said you have to have two out of three things. One is you have to be an adventurous eater; somebody who is going to try different foods, different cultures’ foods. Those people may be more interested in eating insects. Wanna try some grub? Or Grasshopper? Check out The Bug Chef for recipes. 2) The other one is, do you not eat a lot of meat already? So if you’re someone who eats meat every day, if you’re someone who eats meat three times a day, you’re probably not likely to give up that meat for insects. So somebody who already does Meatless Monday’s, or already likes a tofu burger, or is a starving graduate student and can’t pay the prices for good beef. 3) Three is someone who bases their food choices on environmental reasons. This is a lot of vegetarians. A lot of vegetarians are environmental vegetarians – because beef takes up so much land, so much water, they don’t eat meat. So crickets being so much more sustainable on the amount of land and water they use to produce the same amount of protein, is a very appealing choice to those people. There’s almost like stages of introduction. Like with the brownie, but then you can eat like sushi that has a whole cricket in there, but you don’t really see it, and then maybe you’ll see the crickets just tossed in a salad, and then maybe you’ll just start eating a handful of termites. It’s funny you mention sushi because it used to be this weird kind of exotic thing and now people are really excited about it here. I feel like people already have a stigma against insects. I’m not sure if you know the answer to this, but lobsters used to be a slave food – but it transgressed the cultural segregation and lobster is expensive. How did that happen? And do you think insects could follow that same trajectory? Sushi became popular! Maybe insects will too! Absolutely! That’s a very good example, I know that to be true. I do not know how they did it. I don’t know what the catalyst was. But sushi is a really good example because it was in California, you have a lot of Japanese immigrants that wanted to have restaurants, but raw fish was just not anything that people were interested in in the United States. Some genius was like “what if we put the rice on the outside” because sushi traditionally is rice with raw fish on top. But the roll, the sushi roll is an American construct sand it hides the raw fish on the inside. Even before that, they made the California roll which uses avocado to give you the fatty kind of texture instead of the raw tuna or raw salmon. 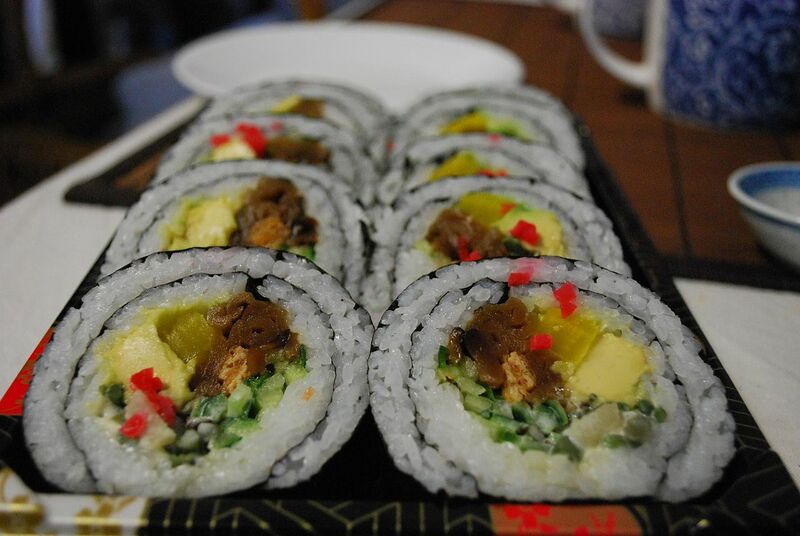 So the California roll was the introduction, was the gateway, to sushi for Americans. So you say that you’re picky and your advisor made you eat a termite, is there any bug that you like to eat, and how do you like it prepared? Crickets have, if you’ve had any Southeast Asian cuisine dried shrimp is an ingredient in it a lot, and the smell of cricket flour is very much like the smell of the dried shrimp in these foods. So it’s kind of sea-foody – it has a strong scent to it. But mealworms are just a lot nuttier to me. So just toasted mealworms, lightly seasoned, by the handful is my favorite. Great with beer. Instead of “bar peanuts” it should be “bar toasted mealworms”. I would like to thank Dr. Lesnik for taking the time to conduct this super fun interview with me and giving one of the most awesome talks given at UGA. This entry was posted in Culture and tagged Entomophagy, Food, Insects, Sustainability, Western Culture. Bookmark the permalink. 4 Responses to Why Don’t We Eat Bugs in Western Culture?